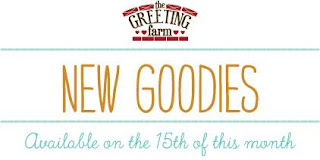 It's September 1st and today is all about a brand new Farm Fresh Challenge at The Greeting Farm! As you know, a new challenge is issued at the beginning of every month over on the TGF blog and this time around it is... 'Office Supplies'. So whether you grab some paperclips or the stapler, ledger or graph paper, add brads or tape (of the washi variety), you can't go wrong plus you just might win a $50 gift certificate! Alrighty, I should get moving. Hopefully I have a bit more free time in my schedule today. Talk at'cha tomorrow crafty peeps! 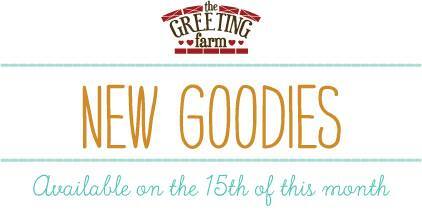 Today's the special Halloween release over at The Greeting Farm and both the Peek a Boo and Scaredy Cats sets are available for purchase right now! 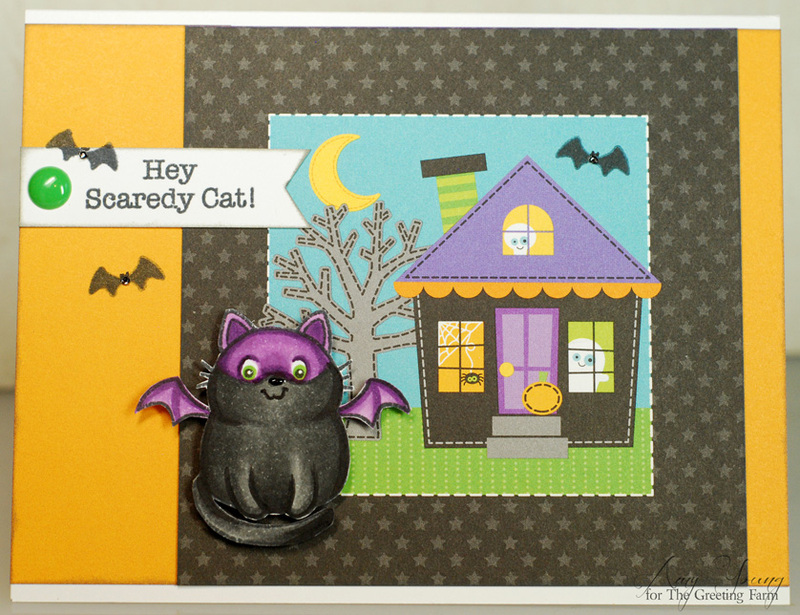 These adorable mini clear sets are perfect for making Halloween cards that are quick but still super cute. 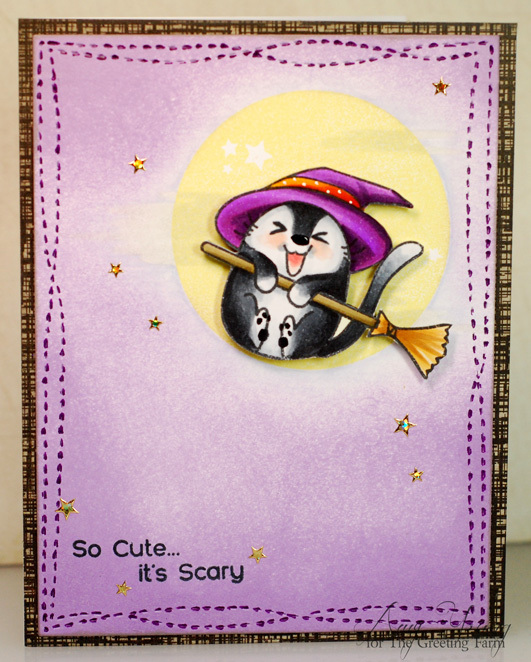 For my card I'm using the funny little witch cat from the Scaredy Cats set and have her sailing across a moonlit sky. Doesn't she look like she's having a blast? Now don't forget that if you hop on over to the Greeting Farm blog right now and leave a bit of love for all the creativity my fellow Farmers are sharing, you will be entered into a give-away where one random winner will take home both sets along with the coordinating dies! 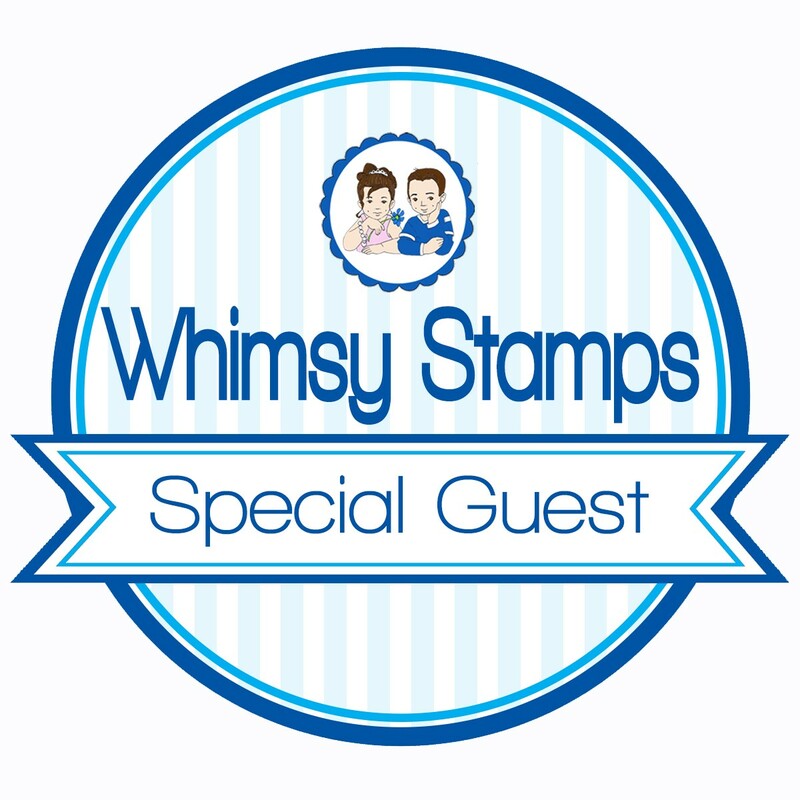 We're continuing the surprise Halloween clear stamp release over at The Greeting Farm today! There are two spooktacular sets being released in the store tomorrow and today we are previewing the super fun Peek a Boo set. There are six little ghosts included in the set, each one dressed up in a different Halloween costume. There are also a bunch of great sentiments and a cute bat and jack o'lantern too. For my card I chose to stamp up the devilish ghostie a few times to create an entire boo crew. I think I like these guys so much because they kinda remind me of the ghost baddies from the old Super Mario video games... am I dating myself too much with that admission? LOL! Anywho... 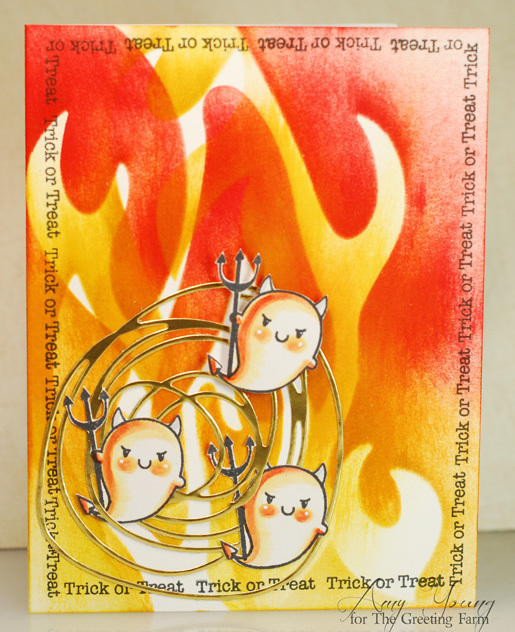 I created the flaming background with an oooooold Heidi Swapp mask and a trio of Distress Inks. It always feels great to pull out those old tools and putting them to use again. 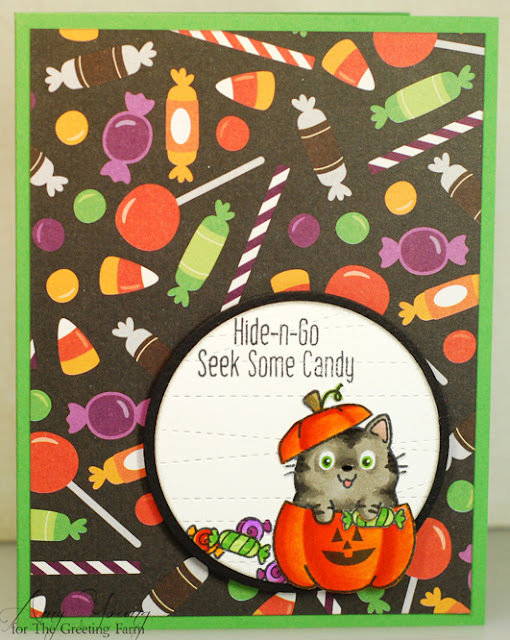 Then I grabbed the little 'trick or treat' sentiment included in the set and repeatedly stamped it along the outside edge of the card to create a border. 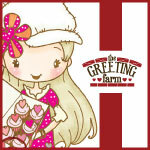 Now hop on over to the Greeting Farm blog and check out the cards my fellow Farmers have created. 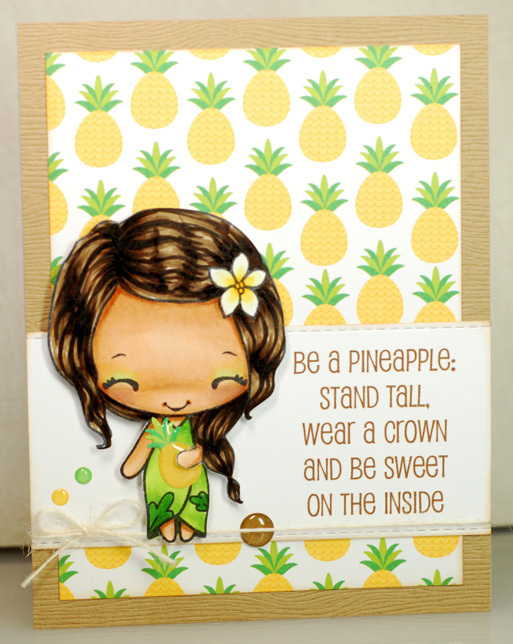 And come back tomorrow for the blog hop, we'll be doing a give-away to celebrate the release and one random winner from Friday's comments will take home both sets with the coordinating dies! We've got a surprise Halloween clear stamp release happening at The Greeting Farm this week... woot, woot! There are two spooktacular sets being released on Friday and today we are previewing the adorable Scaredy Cats set. I don't think it's a secret that I'm a cat person, having a handful of furry felines that are a part of my family, so this set had me purring with Halloween excitement. There are four kitties all dressed up for the holiday along with some great sentiments and little extras. For my card today I chose this chubby kitty dressed up as a not-so-spooky bat. Talk about cute, this little fella looks like he's had way more treats than tricks, LOL! Now be sure to head on over to the Greeting Farm blog and swoon over the creativity of my fellow Farmers. And come back tomorrow for the next tease. 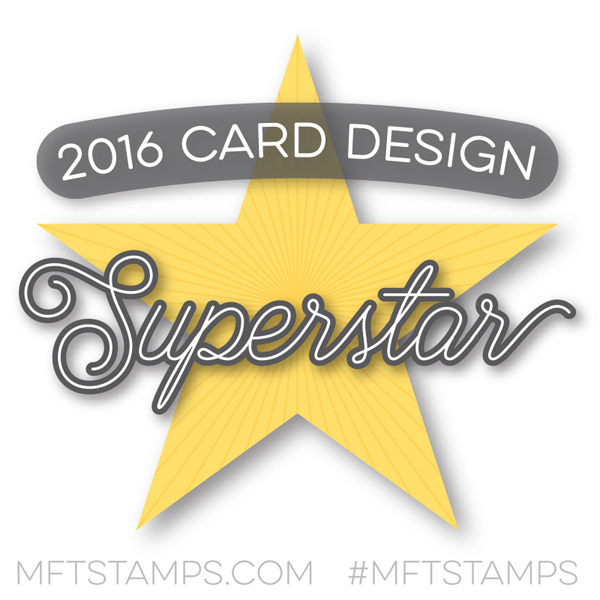 We'll be doing a give-away on Friday when both stamp sets are released, one random winner from Friday's comments will take home both sets with the coordinating dies! 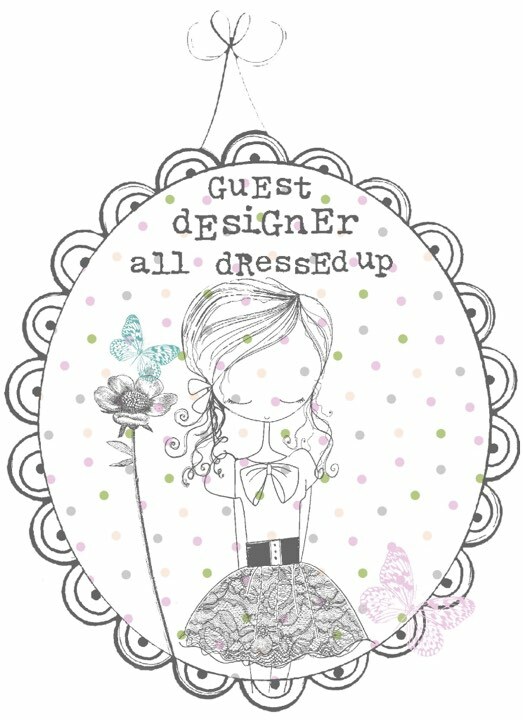 Ok friends, talk at'cha laters! I've got a CAS card to share today that I made for this month's "anything goes" challenge at Mo's Digital Pencil. I've had Summer Fairy Finna sitting on my hard drive probably since last summer so it was high time to get her on a card. I could just picture Finna sitting down at the edge of a flowing stream watching the little fish flit to and fro beneath the surface. This challenged me to try and color and create the scene as I envisioned it. The grassy dunes are ok, could still use some more practice with that but I am really happy with how the water turned out. 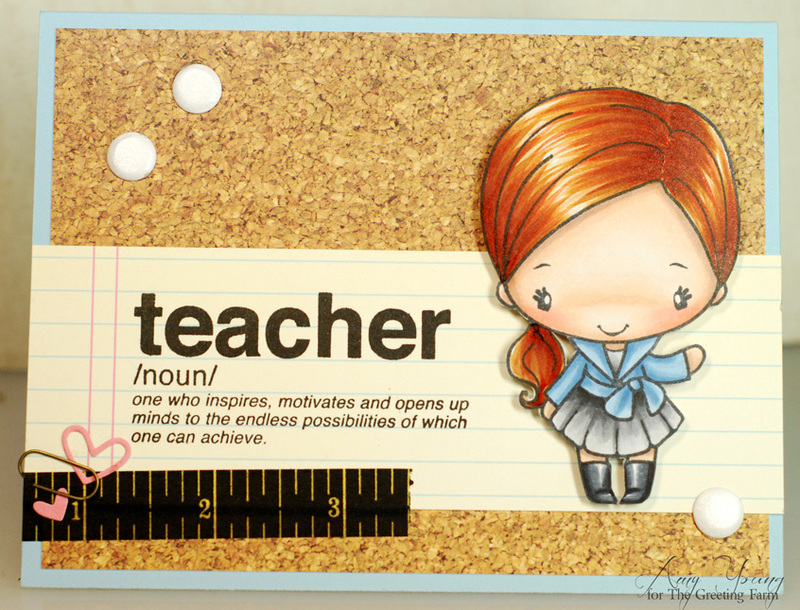 Really quickly, I would also like to enter this card into the current sketch challenge over at MFT. Granted, it's a very loose interpretation of the sketch layout but I swear I started off with it as my inspiration. 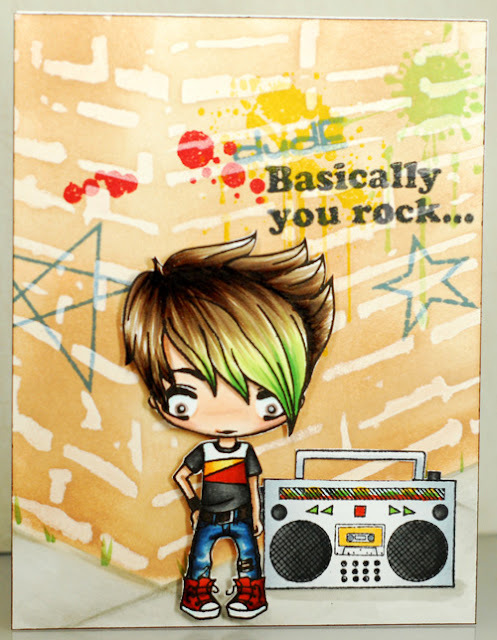 That and I really wanted to play with some of my new stamps, LOL! Not only did I use two of the cuties from the Magical Dragons set but I also tried out the mirror image stamp to 'flip' the baby dragon so he was facing the direction that I wanted for my design. I've gotta say folks, that mirror image stamp is ingenious! I am SO happy with how well it works and it will be staying in a permanent spot right on my desk so it is always at hand when I need it. 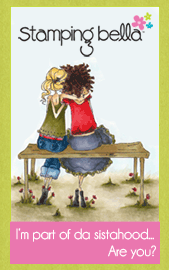 This darling gal is one of the newest Gorjuss Girl stamps and her name is The Little Friend. She's another stamp that has been rather neglected considering I got her during my month of mermaids but now was the perfect time to finally get her on a card of her own. Something about her fun and funky ensemble, with the galoshes and apron, had me picturing her working out in her flower garden. 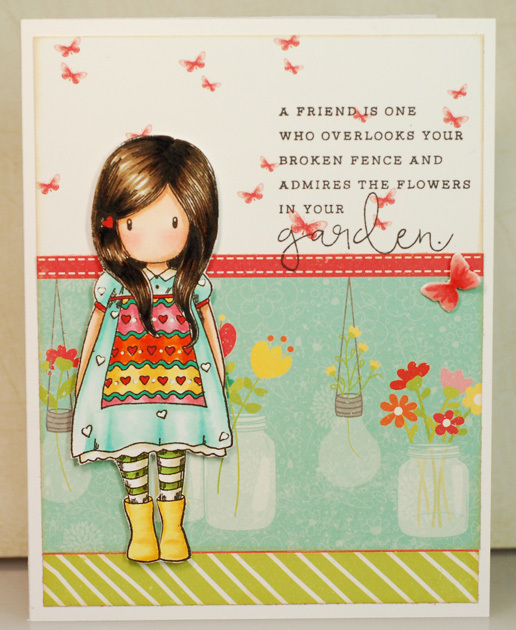 But it's not just any ol' ordinary flower garden, no... Little Friend is all about being creative and eclectic. 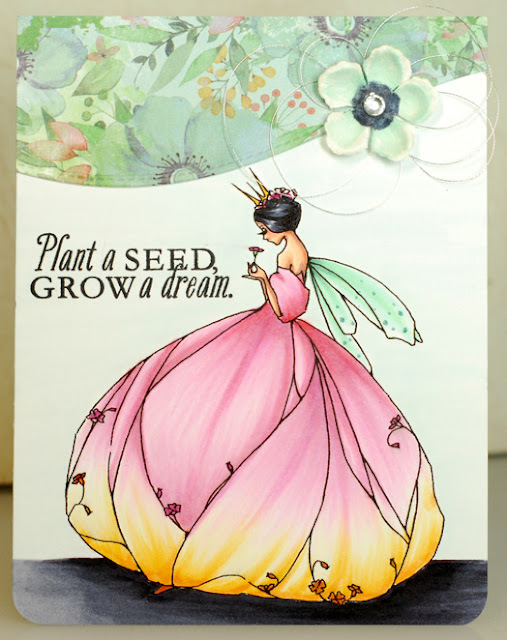 That's where this pretty paper from the Happy Glamper collection comes into play, I love how it makes it look like she has planted her flowers in old jars and re purposed light bulbs. Now I think I will enter this card into the current "anything goes" challenge over on the Sugar Nellie blog since I've missed the last couple months. Have a good one crafty friends! Alrighty then, stay crafty my friends! 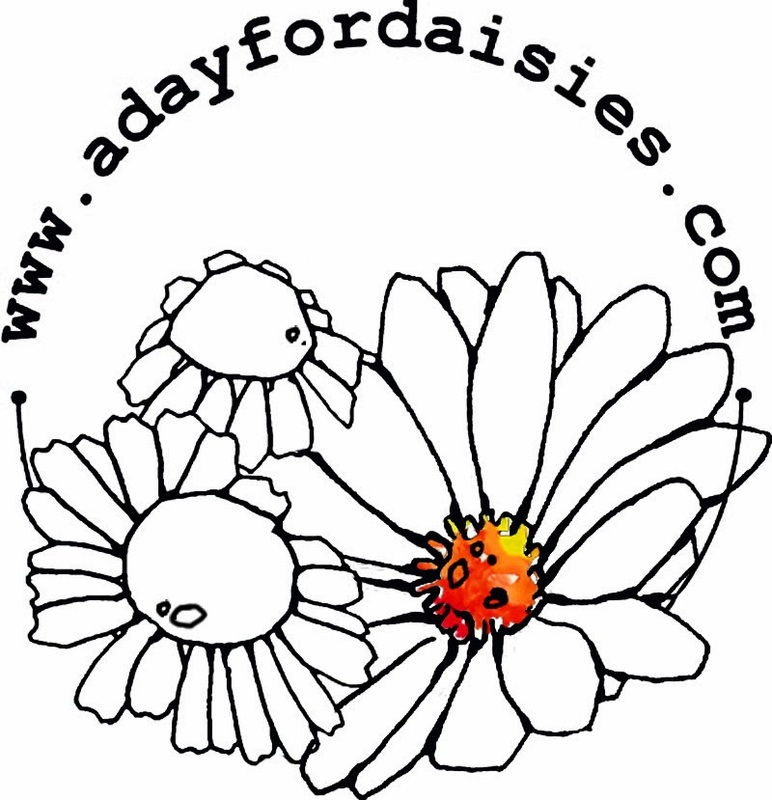 As soon as these new Fairy Queen digis hit the A Day For Daisies store last month I knew I would have to get a few of them, talk about gorgeous! Fairy Queen Violet is my absolute favorite of the bunch so she was first in line to get on a card. She looks just like a delicate blossom herself with that big ball gown mimicking the petals of a flower so I grabbed this pretty floral paper from Bo Bunny once again. This time around I wanted to pull my colors primarily from the small elements of pink and orange in the print. The ombre skirt was a bit of a challenge but I'm very happy with the end result. Since I didn't have a lot of the paper left to play with I went with a very CAS design and I think it suits Queen Violet nicely, it gives her room to breath. 2000th post... and a give away! So as I've been posting this past week I noticed that I was creeping up on post number 2,000... that is quite the milestone! 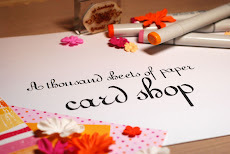 That's two thousand cards made and shared right here on the ol' blog. 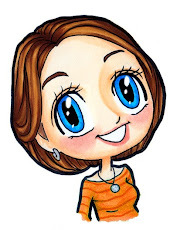 And look who I got just in time to help me celebrate, a new Wild Sprout named Hanna! Hanna is the Super Secret Stamp Club stamp for August and I was thrilled to finally see a Wild Sprout joining the Farm. I'm such a fan of the Sprouts, always have been, and Hanna is just the cutest! 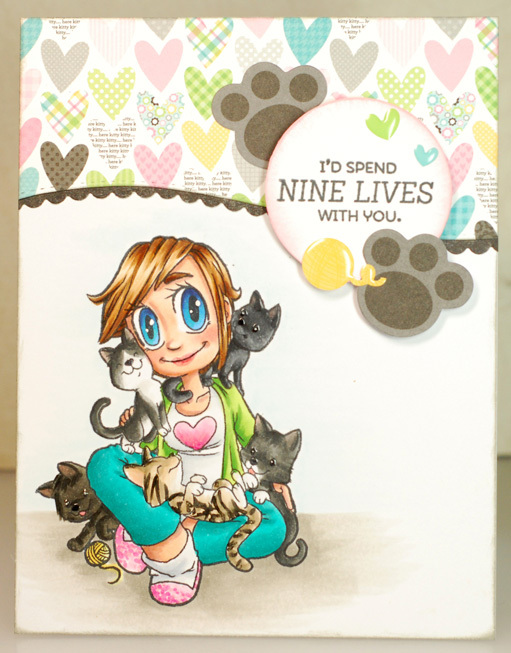 As I colored her up she was looking like she could be a fellow cat lover so I cut this panel from the Doodlebug Kitten Smitten paper to create an instant background. Now Hanna has a beautiful pink home and three little feline friends to keep her smiling. 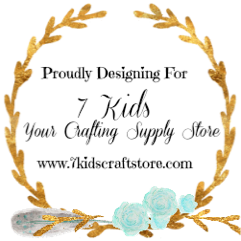 Now I couldn't let this 2,000th post pass without a little giveaway to celebrate and thank all of you for making A Thousand Sheets of Paper one of your online stops. 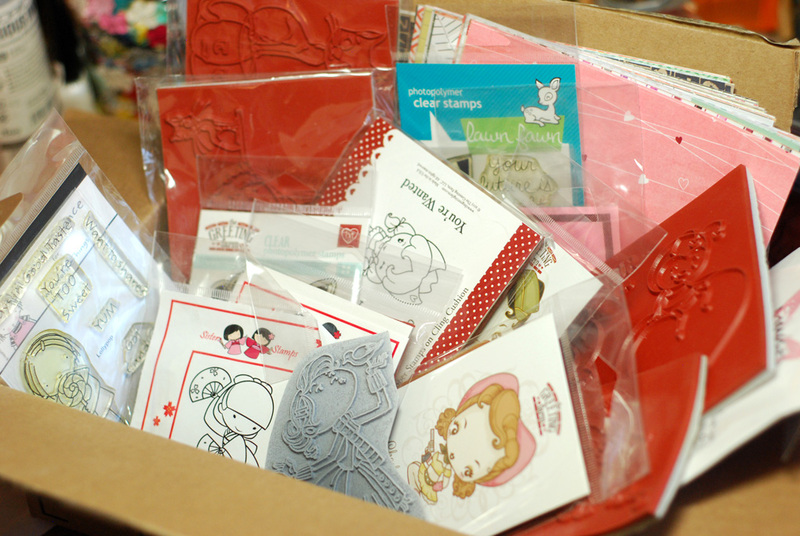 Since I've been cleaning and organizing the crafty room lately I've started to fill a little box full of stamps, 6x6 sheets of paper and there will be even more goodies thrown in as well. This will go to one lucky person you comments on this post by next Thursday telling me how long you've been following, doesn't matter if it has been years, months or even days, everyone is eligible to win. Then I will let random generator pick a winner and announce it on Friday, August 19th. Now it's time for me to scoot my boot... see ya tomorrow! 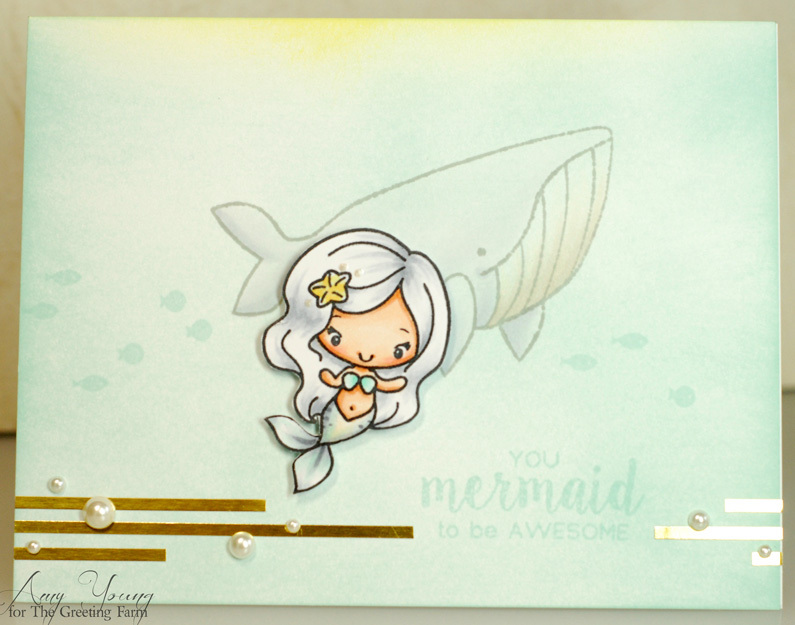 Can you believe this sweet, simple card featuring one of the little Anyas from the Mega Mini Amazing set has been sitting on my hard drive ever since we did previews a couple months ago? I spotted it the other day when I was doing a computer clean up and I'm just shaking my head at myself. So here she is in all her pink prettiness to say hello and thanks. The sentiment is also from The Greeting Farm and I just stamped the line repeatedly after inking in a slightly darker pink box to ground and group everything together. 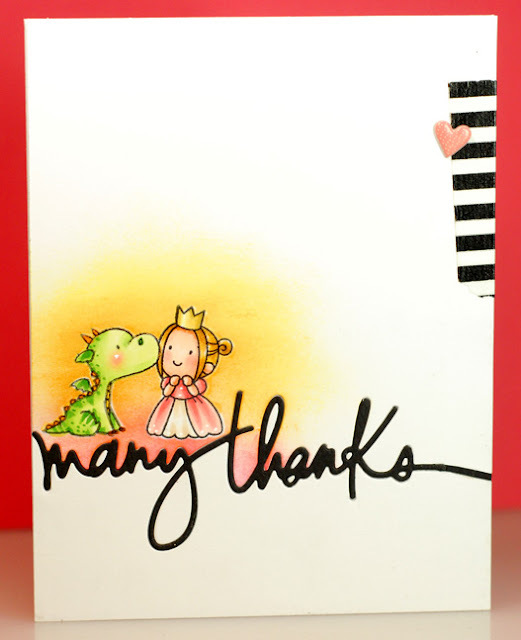 The 'thanks' is a coordinating TGF die, making this card very quick to complete.